FIREBIRD VIDEOS's mission is to create a variety of high-quality educational materials, especially DVD's (videos), about the Orthodox Christian Faith and practice, and its diverse cultural expressions, for educational use by those who are already Orthodox, and for mission outreach to those who are seeking to learn more about the historic 2,000-year-old Church established by Christ Himself. FIREBIRD's ministry also seeks to assist people who wish to enhance their own personal prayer/spiritual life, by providing audio recordings of chanted prayers and Psalms, and DVD's of Divine Services. These also provide a service to the sight-impaired, home-bound, elderly and those who live far from an Orthodox church. FIREBIRD is an educational ministry of the St. Innocent Monastic Community in Redford, Michigan. FIREBIRD produces and distributes DVD's (videos), audio recordings (CD's), books and pamphlets about different aspects of the Orthodox Church — its Faith, history, practices, sacred arts, liturgical and spiritual life, saints' lives, and its different ethnic and cultural expressions. Creating and distributing these educational items is our primary ministry. We are America's primary producer of: Orthodox videos in English; audio recordings of chanted prayers, akathists and Psalms in English; Divine Services in Russia; and a supplier of videos made in Russia about the Orthodox Church. We intend for our work to express the unity-within-diversity of Orthodox Christianity, and to contribute to promoting unity in America among the different ethnic expressions of the one Orthodox Faith. As of May 2018, we offer 112 items: 87 DVD's and VHS videos; 14 audio recordings; 8 printed books and 3 pamphlets. Our diverse 24 DVD's plus 63 other VHS videotapes in English and in Russian range in subject matter from the Life of St. Innocent of Alaska; to Divine Services in Russia, Alaska and Michigan; to how to make Orthodox Prayer Ropes and Prosfora; to the history, sacred arts, monasteries, churches and other places in Russia; and to the present day life of the Orthodox Church and her faithful in Russia. We have produced English voice-overs of 9 of the outstanding Russian-made videos about the Orthodox Church that we distribute. Most of our English videos and Divine Services are available on DVD. Our future new DVD's will focus primarily on providing overall general education about the Orthodox Faith, in our long-term series, "What in the World is the Orthodox Church?" We offer 14 audio recordings. These are our own all-English productions, that include the complete chanted Psalms (Orthodox Study Bible translation) in a set of 4 cassettes; and 8 cassettes of chanted prayers and Akathist hymns; and the Indication of the Way Into the Kingdom of Heaven, written by St. Innocent of Alaska. We are in the process of converting these recordings from cassette to CD. Our 8 books make the Orthodox Faith understandable and accessible to the thoughtful reader. Our 3 pamphlets enable you to take advantage of the valuable educational mission opportunity that occurs at Weddings, Baptisms and First Confessions, by clearly explaining the meaning of the major elements of each of these 3 Sacraments / Mysteries. 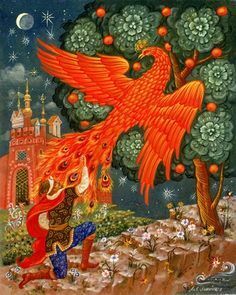 FIREBIRD Videos, Audios & Books is a Michigan non-profit 501(c)(3) corporation founded in June 1988 (originally with the name of RUSSIAN TREASURES, INC.), whose purpose is to produce educational and religious materials. In February 1992, FIREBIRD Videos, Audios & Books began producing videos, audios and books, as a legally registered Michigan DBA (Doing Business As), of RUSSIAN TREASURES. In 2007 the IRS officially changed our name from RUSSIAN TREASURES to ST. INNOCENT MONASTIC (RELIGIOUS) COMMUNITY, of which FIREBIRD Videos, Audios & Books is a legally registered Michigan DBA. FIREBIRD VIDEOS is guided by the Board of Directors of the ST. INNOCENT MONASTIC COMMUNITY, comprised of priests and lay people of diverse backgrounds. The head bishops/metropolitans of a number of ethnic jurisdictions of the Orthodox Church in North America gave their blessings and endorsement of our work, especially for the development of the two new video series for Orthodox education we have begun: The Lives of Orthodox Saints and What in the World is the Orthodox Church? (To read the narration texts for the latter's first four programs, click here: https://stinnocentchurch.com/whatintheworldistheorthodoxchurch.html. 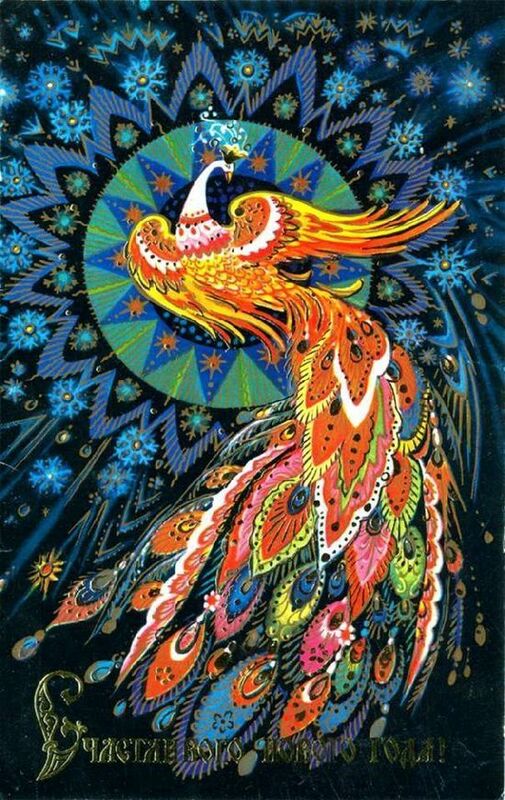 Our name is derived from one of the most popular of all Russian folk tales — the firebird. The story is about a simple and humble maiden whose embroidery work was the most beautiful in all the world. She rejected all offers of riches and glory for her handiwork. One day a wicked sorcerer came to the maiden, disguised as a handsome youth, trying to lure her away with promises of untold wealth and marvels, to embroider for him alone. When she refused, he turned her into a firebird., and, turning himself into a falcon, carried her away. But the maiden wanted to leave something of beauty behind, and so, as she died in the falcon's claws, she shed all of her magnificent feathers, which floated down to the earth. However, they were no ordinary feathers, but magical ones, which only those who love beauty, and who seek to make beauty for others, can see and admire. FIREBIRD Videos, Audios & Books is dedicated to making beauty for others, and to making known the profound beauty that exists in the Orthodox Church: in all aspects of the unsurpassed splendor of her Divine Worship and wealth of her prayers; her icons, music, architecture and other sacred arts; and the beauty of holiness found in the lives of her saints, and in the spiritual depths of the Orthodox Faith.